Parents In Prison After 4 Year Old With Cystic Fibrosis Found With Cockroach In Breathing Tube. 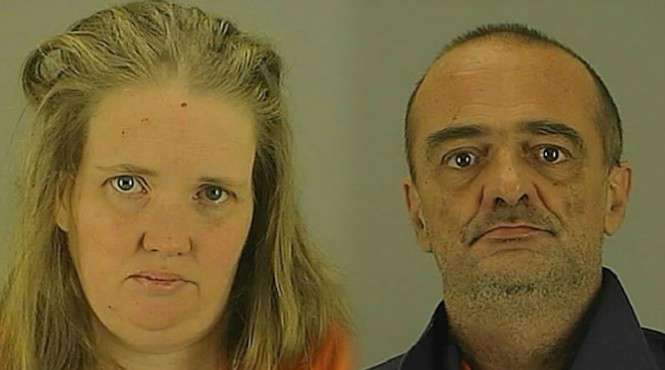 For several years, 5 Akron, Ohio children suffered through life with their neglectful parents, 42-year-old Christian Cunard and 46-year-old Wayne Cunard. Now, both parents are in prison. Authorities say their four-year-old son, who suffers from cystic fibrosis, even had a dead cockroach inside his breathing tube when he was resuscitated from his family’s house of horrors. The rest of the children, ranging in age from 1 to 15, were underweight and had not been properly cared for in any way. The Cunard’s reportedly pleaded guilty to child endangerment after conditions inside their home were discovered last fall. The kid’s dad, Wayne Cunard, reportedly cried as he was sentenced to just one year in prison. In court, he testified against his wife, saying she was the primary caretaker responsible for the children’s welfare. Reports say the children are now being cared for by foster parents. This Little Girl Has A Message For Her Deadbeat Dad, But Is It Too Much?